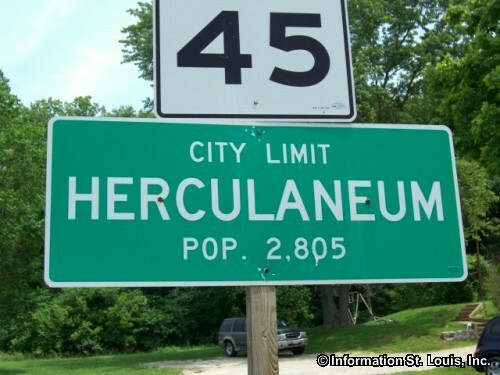 The City of Herculaneum Missouri is located in Jefferson County. 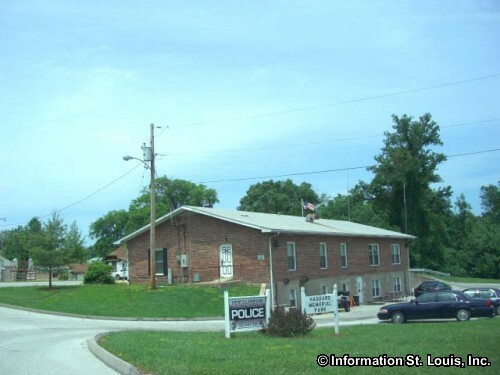 It is about 45 minutes south of Downtown St. Louis along Interstate 55. Herculaneum's population has had steady growth since 1990, but jumped from 2,822 residents in 2000 to 3,568 residents in 2010. 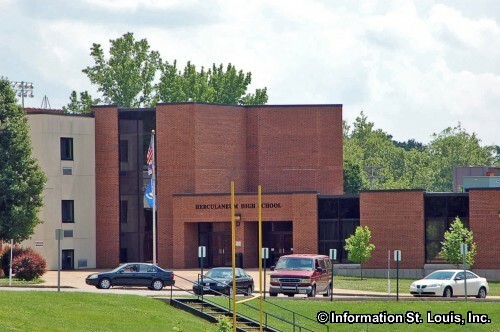 The community of Herculaneum is served by several school districts. The Dunklin R-V School District is located in Herculaneum. The schools in the district are the Pevely Elementary School, the Senn-Thomas Middle School and the Herculaneum High School. The brand new Herculaneum High School still uses the stone bleachers located at the football stadium that were a WPA (Works Progress Administration) project and built during the depression in 1935. 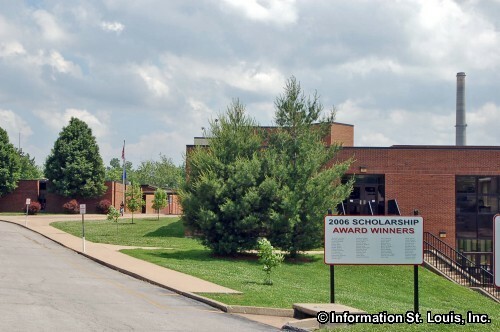 The other public school districts that serve the elementary students of Herculaneum are Festus School District and Crystal City School District. Herculaneum was honored in 2008 by being given the "Tree City USA" designation by the National Arbor Day Foundation. It was the first city in Jefferson County to receive the designation. 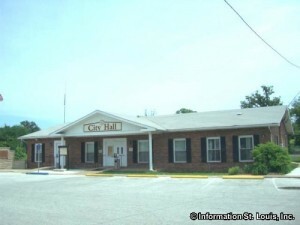 The city maintains five parks which are the Dunklin-Fletcher Park, Haggard Memorial Park, Herculaneum City Park, Shot Tower Park and Bates Memorial Park. Athletic fields, picnic shelters, Mississippi River overlooks are some of the amenities of these parks. The City of Herculaneum was officially incorporated in 1972 but was founded in 1808 by Moses Austin and Samuel Hammond. Moses Austin had obtained a Spanish land grant for the area in 1798 because of the large deposits of lead. Austin and Hammond plotted the town near the mouth of Joachim Creek in 1808 so that the town could serve as a shipping point for the lead that was being mined and smelted there and from other mines in the area. Herculaneum had the first and only post office, established in 1811, in the county for 30 years. It also became the first county seat when Jefferson County was organized in 1818 and was so until 1839 when the County Seat was then moved to Hillsboro to be more centrally located within the county. 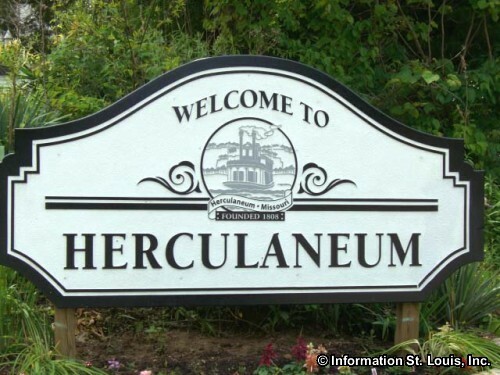 Herculaneum declined after the move of the County Seat which coincided with the St Louis, Iron Mountain and Southern Railway bypassing the town. 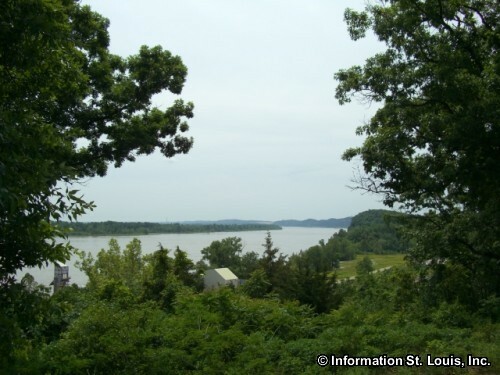 Fortunately, the Mississippi River & Bonne Terre Railroad did run a line through the town, as well as the fact that the St. Joseph Lead Company chose Herculaneum as their lead smelting site which brought about a revival of the town. Those smelting operations became the Doe Run Company which is the largest lead refinery operation in the United States. Missouri's 18th governor and the first Missouri-born governor, Thomas Fletcher, was born in Herculaneum in 1827. He served as governor from 1865 until 1869 and was responsible for emancipating Missouri's slaves by executive proclamation on January 11, 1865. He built a home in Hillsboro in 1851, the Thomas C. Fletcher House, which today is on the National Register of Historic Places and can be toured by appointment. Another Missouri governor, Daniel Dunklin, has ties to Herculaneum. 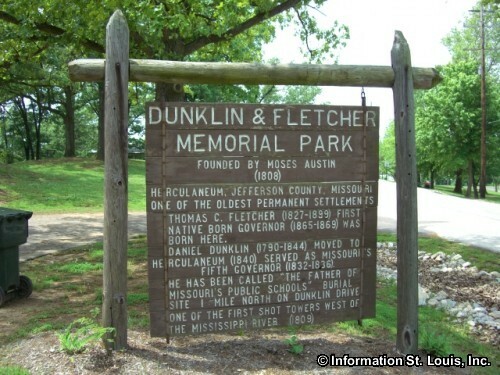 Dunklin, born in South Carolina, came to Missouri with his mother in 1810. He was the fifth governor of Missouri and served from 1832 to 1836, resigning before his term ended to be appointed as a US Surveyor General of Missouri and Illinois by President Andrew Jackson. During his term as Governor, Dunklin helped to pass a law establishing the Missouri public school system. He also recommended the site for a state university that in 1839 became a reality and the University of Missouri was founded. Dunklin and his wife and family moved to Herculaneum in 1840. He built a large home on a 292 acre tract of land. He died in 1844 and is buried on the only acre left of his estate which overlooks the Mississippi River. Missouri maintains all of its governors grave sites if they are not in a traditional cemetery, so Daniel Dunklin's grave site is now a Missouri State historic site.